This is a journal of our site progress. The newest posts are at the top. Thanks for stopping by. To read the entire journey of our website, read from the bottom up. If you are considering your own niche e-business, please take a look at how far we've come in such a short time. We'd be happy to share more about our journey with you. Just contact us. Front Porch Ideas is now on Facebook, too. Join our lively discussion and share how you decorate, design and use your porch. We love our community of porch lovers. It's been quite a little while since we've updated this page. Dave and I are building a new home. House building is going a little more slowly than anticipated mostly due to the rainy weather we've had lately. But the framing is going to start going up this week in spite of the rain and chilly temps. We will have a wraparound porch and a covered back porch that we are excited to use when we move in. Our Facebook members are growing. We just went over 2,700 wonderful porch lovers and we thank everyone who visits us there. We just created a section on mobile home porches, knowing that many of you are wondering how your home can have a porch. We hope you enjoy the pictures and ideas. Dave and I are so fortunate to have our business featured on Fox News television. We had a record 12,000+ visits to our website yesterday. And we are super grateful for all the kind people who have been writing to us, too. We are writing a book about how we started our online business and how we work together as a couple. June and July are big porch months - for fixing up and enjoying. We hope you are enjoying your porch and as always, we genuinely appreciate you stopping by to visit our website. Dave and I were very fortunate to have our business featured by our local newspaper, the Tennessean. Please enjoy our newest pages: Anita's outdoor room ideas, ideas for picket fences and summer decorating ideas. In August, we will be releasing our Autumn Porch Decorating Ideas eBook. Please watch for that on our website. It is a compilation of 40 Blogger's very creative autumn decorating ideas - and we believe you will truly love it. Lastly, our heartfelt thanks to you, our readers, for enjoying and sharing our website. March, April and May have been big months for us. We had a record number of visitors on Sunday, March 18th: 9,500 visitors and then 9,242 on Sunday, April 15th. We are truly grateful to each of you for stopping by to visit our website. In March, we traveled to Deland FL and found some very pretty porches. We loved the historic town of Deland. It's very friendly and appealing - perfect for porch lovers. Did you see Linda's tutorial for painting a rug on her porch floor? It's a story with pictures you won't want to miss. We've had a busy two months. 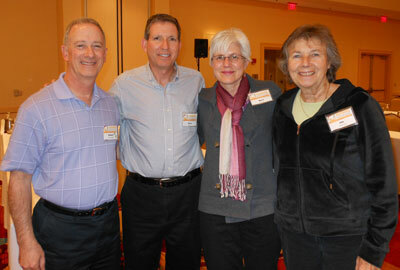 In February we were presenters for the Niche Affiliate Marketing System (NAMS) workshop in Atlanta. Dave and I had the privilege of telling our story to a group of people interested in earning their living online. We were very appreciative of their feedback and hope we inspired them to reach for their dreams! Pictured above are Dave and I along with our NAMS friends Robert and Ute. We enjoyed getting to know them. This month we also traveled to several small towns in Georgia as well as San Francisco to enjoy the porches in these locations. Enjoy the pictures from our road trips - they will give you fresh porch ideas. And lastly, we want to thank each of you for visiting our website. You'll soon be seeing more videos on our site - high quality, relevant videos to help you with your everyday questions! Our traffic in January and February has been about 70% higher than the same time last year. So, we are thrilled and we never forget that you are the reason. January 8, 2012 Happy New Year to all of our site visitors! December was a big month for our site. Our outdoor Christmas decorating ideas were very popular - from making wreaths to decorating front doors to beautiful snowy pictures. We've gathered enough Christmas decorating ideas for your porch to make a directory of them for you. In December many of you also dropped by to look at porch pictures, get screened porch ideas and front porch design ideas, too. December was a very robust month for porches and we thank you for stopping by. 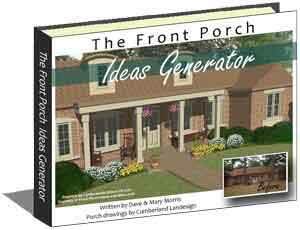 We also introduced our Front Porch Ideas Generator and appreciate each of you who purchased our eBook. 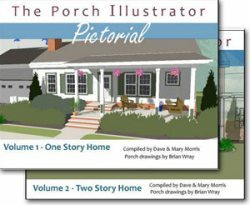 People can, you know, get great ideas for planning their porches from our thoughtfully compiled eBook chock-full of before and after pictures. November 28, 2011 Our site has had an amazing autumn season. So many people visiting our site to get porch decorating ideas - for autumn, Thanksgiving and now outdoor Christmas porch decorating is in full swing. Yesterday we were very pleasantly surprised to receive 8,115 visitors - many searching for holiday porch decorating pictures. Three days after Thanksgiving. We are so grateful for our site visitors. Thank you so much. 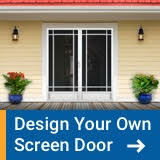 We are very excited to have published our Front Porch Ideas Generator eBook. It took plenty of effort to pull it together and we hope you enjoy it. The before and after pictures are very fun and our commentary of each home is very helpful. We also had our Autumn / Halloween Porch Contest in October. Dave and I were delighted at all the fun entries that we received. October 12, 2011 I can't believe it's been two months since we've added an update. We are so appreciative of our site visitors. The past couple of months have been our very best ever! On a daily basis we have been receiving between 5,000 and 7,700 visitors to our site with our uniques over 5000 now. We're very excited that come January 2012 we will be celebrating our 3rd anniversary. This month we have had many thousands of page views of our autumn porch decorating and outdoor Halloween decorations pages. Autumn is indeed a beautiful time to decorate your porch! And our Autumn and Halloween Porch Contest is in full swing until November 1, 2011. August 13, 2011 Oh my, the time has flown this summer. And our porch site has been busy. The summer months have been very strong traffic-wise. Thank you to our porch loving visitors. In mid-July, Dave and I were featured on Jonathan Taylor's podcast show titled "Beginner Internet Business Podcast Show". We spoke about how we have turned our passion into profit. Jonathan and his co-host have a lively 15-20 minute conversation before our interview begins. Dave created a section about metal porch roofs. I am amazed at all the colors and styles you can get in metal roofing. One woman wrote to us and said her 100 + year old home has its original metal roof. That says a great deal for metal's durability and longevity. June 28, 2011 June is good for porch lovers. We broke a traffic record on the 20th. 7,059 visitors on that day. All we can say is "thank you so much!". It's you, our visitors, who are the fabric of our site. We were featured on Living the Country Life Radio. We talked about sleeping porches. You can hear the short snippet. We collected lots of porch pictures with flags and created a video of patriotic porches. You can see it on our 4th of July Decorations page. 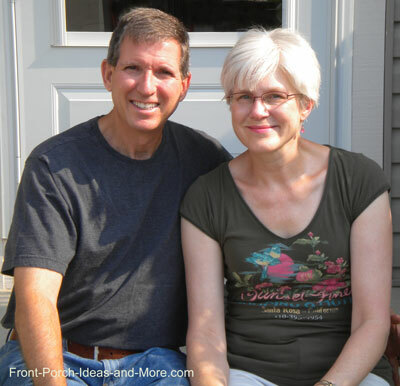 Dave and I were excited to be featured on Steve Sherron's BloggerLens. He writes about how we created a full time living by writing about porches. We are flattered that he has been following our site - and appreciating our accomplishments. He complimented us on the volume of good content we write for our site visitors. Lots of good content is definitely one of the reasons we've been successful. Thank you, Steve! A big thanks to Steve for featuring us - and have to add that much of what we have learned is through our SBI education. May was a record traffic month for us - over a half million page views. We are most appreciative of the good people who visit our site. Thank you so very much. Our most fun news is that we have a Facebook page now and we would love to have you join our community of porch lovers there, too. If you enjoy the helpful content we bring to you on our site, would you do us a favor and "Like" our Facebook page? Thank you so much. So exciting to see how many site visitors we are getting this month. It's that time of the year to spruce up your porch and get out there to enjoy it. Nearly 7,000 of you visited our site just yesterday. Oh, happy day! Thank you for joining our community. So many friendly people. On the 20th of this month, we broke another traffic record - 5632 visitors. We are so grateful for the good people who visit our site. And another milestone - our Alexa ranking is now at 105,734. While we know this will fluctuate and that it is just one indicator, we're sure excited for the day when it dips below 100,000. We just published a new section on our site - all about sunroom ideas! Dave created a fantastic section all about sunrooms - designs, window treatment, flooring options. On thing we find that people love for their porch is outdoor curtains. If you are looking for an idea to update your porch this spring, think of outdoor curtains. They increase the ambiance, add some privacy and a little shade from the sun. What we like about them most is the whimsy and fun they add to your porch. Barbara from New Jersey shared with us how she painted the concrete floor in her screened porch. We would surely enjoy hearing from you, too. We get excited when you share your porch pictures with us or your favorite porch memories. Do you have a porch question? Feel free to ask us. Thank you so much for visiting our site. Our #1 goal is to answer your questions and bring you helpful information and pictures to inspire you to have a porch that you love. Our traffic is sure nice this month. Spring is not far away and so many of you are thinking about your outdoor plans. Yippee! We saw our Alexa ranking dip to 129,000 this month. And if you know about Alexa scores, you know that's pretty good! It will go up and down, but we're loving this in January. We appreciate you visiting our site - very much! Wow, this month is flying by. Here in Tennessee we're having more snow than is typical and I have to admit we're kind of loving it. Working from home means we can stay inside and just look out and enjoy winter wonderland. Plus, we sure have seen some beautiful winter porch pictures. Would love to see your photos! It's the middle of winter, but already we are seeing our traffic climb. I'm sure lots of you are dreaming of spring decorating ideas or maybe you want some tips on how to build a porch. Dave and I were featured on a popular internet marketing blog, ClickNewz, this month. I wrote a guest post about the journey of our site. We enjoy sharing our story because maybe one of you will be inspired to start a niche business of your own, too. We hope your year has been blessed with nice memories and good times. Dave and I are very appreciative of everyone who visits our site. Our site grew by leaps and bounds this year - always with the goal to bring you wonderful porch ideas. We visited some charming towns this year to bring you amazing porch pictures. Places like Cape May NJ, Beaufort SC and Savannah GA. We also featured the fun porch contest in Brigham City Utah as well as our own Autumn and Halloween Porch Decorating contest. 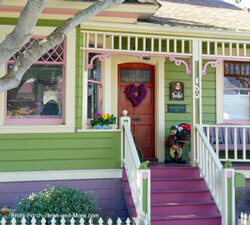 We were even featured on BlogTalkRadio - talking about front porches, of course! We are constantly amazed at the pride people take in their porches and the good times and memories they make. Please continue to visit our site. We'll have lots more porch ideas and pictures coming to you in 2011. We love hearing from you and showing off the porch pictures and stories that you share with us. Dave and I hope the ideas on our site inspire you to have a wonderful porch. We hope you had a wonderful Thanksgiving. We are super blessed by our site visitors and dearly appreciate your stopping by our site. Hard to believe it's almost December and we still have several thousand visitors daily. We got to spend the Thanksgiving weekend with our family in a couple cabins in Gatlinburg, TN. We hope you had a really nice time with your family or friends, too. and we got to talk all about front porches with Scott. Wolfson Cutler Real Estate in Medford, Massachusetts. Flash Player browser plug-in from Adobe. Download it for free here. This time of the year I am always grateful to the men and women who protect our freedoms. And for their families, too. I was a military wife for 20 years and I understand the sacrifices. Dave spent 20 years in the United States Air Force and I have to say those were 20 awesome years. We have a brand new page dedicated to Veterans Day and why it is important to me, at least. If you know a Vet or the family member of a Vet, why not tell them thanks for what they do. Thank you so much for visiting our site. We have lots of people asking us how much time we spend on our site and how we do it. I can sum it up for you in 3 words: "It takes work." And plenty of it. But it's so worth it for what we receive in return. It all began with a question years ago: What would you do if you knew you would not fail? Here's more of our SBI story. We will be announcing the winners of our contest on Monday, November 8th. Wow, we sure loved the entries we received and all the visitors that come to our site for autumn and Halloween ideas. We have our Autumn and Halloween Porch Decorating Contest in full swing until Monday, November 1st. We visited some wonderful southern destinations - Myrtle Beach, Charleston SC, Beaufort, SC, and Savannah, GA. My oh my, the porches we saw. You can see all our pictures in our Porch Ideas section for our road trips. Even a year ago we would not have imagined that our site would take us to such wonderful places. Dave and I still pinch ourselves to know that our "job", if you will, is to bring you porch ideas - and that often involves traveling. Thank you so much for being a regular visitor to our site. Enjoy the autumn colors while they last. We visited the Washington DC area. My son and I walked a marathon together. If you ever thought of doing a marathon, I found that walking one is a great way to go. I know I always say this on our updates and I will say it again. Thank you so very much for visiting our site. Dave and I put a lot of heart and soul into it and it's very heartwarming to know that you find us and enjoy reading through our site. The big news here is our 2nd Annual Autumn and Halloween Porch Decorating Contest that will begin on October 1st. Dust off your porch and get it ready for autumn and Halloween. You can enter your porch in either or both categories. We will have all the details and entry form posted by October 1st. Thank you to all the porch lovers out there. We sure appreciate you visiting our site. Dave and I have been traveling again. This time to Ohio, Kentucky and Tennessee. In addition to visiting family and friends, we saw some really neat porches in Ohio. Keep an eye on our site for video shows and pictures from our trip. We receive thousands of site visitors each and every day. It's really neat to know that so many of you love porches. We often wonder who the people are who visit our site. It's most surprising to us to know the location of where we receive the most site visitors. It might surprise you, too. But we're not telling yet. Another little bit of news: Brigham City, Utah has hosted their first porch decorating contest. They have so much enthusiasm and zest for their porch contest. We will be featuring pictures from Brigham City soon. We hear that there were over 40 entries in the contest and the judges are busy making their decisions on who will win the contest. Stay tuned to learn more about each of these topics! For those of you who follow statistics, we were happy to achieve an Alexa ranking in the low 140,000 this month. While we know that will fluctuate, it's still so fun to see how far we have come. Another fun milestone for us is that all of our pages are listed by both Google and Yahoo and many are ranked on the first page for their keyword. That means we are getting easier and easier to find. I have been out of my corporate job for three weeks now. Dave and I are truly blessed indeed. I still wake up sometimes thinking I need to go to work. But just for a moment, then I realize my commute is to the kitchen table. I loved the people I worked with but my new life is sure enjoyable. For the past two weeks, Dave and I took Front-Porch-Ideas-and-More on the road to find beautiful porches. We traveled to Virginia, Delaware, New Jersey, North Carolina and Tennessee - all along the way photographing porches. You will be seeing our "On the Road with Front Porch Ideas and More" series for the towns and cities we visit. Let us know if your town has some wonderful porches. Mixed in with taking pictures of porches, we enjoyed visiting with our younger son's family for the Memorial Day weekend. They took us to see George Washington's home in Mount Vernon, VA . President Washington and Martha's back porch in Mount Vernon overlooks the Potomac River. It's a breath-taking view. We are pretty excited because my last day in Corporate America is May 20, 2010. What a humbling milestone to reach. Dave and I did not expect it would happen this soon, but are very pleased with our site's progress. Just one year ago we begin earning income from our site and it started out very modestly - $5 a day. Now a year later, we are very close to matching my corporate income - enabling me to work from home with Dave full-time on our site. We hope you found lots of wonderful information to help you with your porch. Expect lots more great information coming your way this year. Thank you for visiting our site. We know spring is here because our traffic is surely increasing. We have had two days this month with over 4,000 unique visitors. Thank you, porch lovers, for visiting our site. We appreciate you very much and hope you are enjoying what you find. Let us know if you have a suggestion for our site. Just contact us. Dave and I are excited about all the possibilities for our site. We have a big to-do list of information we will be bringing to you. Most recently we had the good fortune to interview Nancy Moore from The Porch Company. 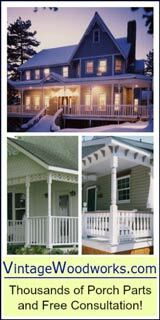 She has so many wonderful ideas about selecting the right porch contractor and things to consider when building your porch. Look for that interview on our site soon. We have a new milestone today. Our home page has a Google PR (page rank) of 3. On a scale of 1 to 10 that isn't super high, but for a small site that's fairly new, we're very happy about being a "3". It means that we have quite a few good and relative back links to our site now. We've been working hard on our link building program in the past few months. Thanks so much for visiting. We love all of our porch-loving site visitors. I did not think we would be updating our site progress so soon, but wanted to share a nice milestone. In March 2010 we had almost a quarter MILLION page views - almost double from last month. We sure are appreciative of our site visitors. Our little porch site is well, not so little anymore. We have over 300 pages. Did you know that about 50 of our 300 pages were actually created by people like you? Our website has a feature where people can submit their own picture and type in some words and then, voila, it makes a web page on our site. We give it a quality check before it goes "live". It's great - people from all over have shared pictures of their porches with us and told us of wonderful times they spend on their porches. We are truly astounded - 3,319 unique visitors today to our site. Another record for us. Throughout the month of March, we've regularly had 2,500+ daily visitors - we know that porch season is here. Springtime is when so many of you are focusing on outdoor projects and how you will decorate and furnish your porches. We hope you find plenty of great ideas here! 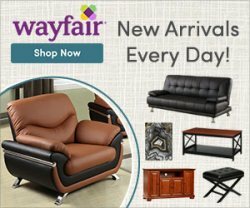 We welcome you to our site and appreciate your visit. This was the first day we had over 2,000 unique visitors to our site. We are really happy that so many porch lovers are enjoying our site even in the middle of February. We have several new sections: (1) Perfect Porches, the book by Paula Wallace and an interview with her, (2) bungalow porches, (3) log home pictures, (4) timber frame home designs and porches, and (5) log home designs and porches. Thank you for visiting our site. We appreciate you! This is a journal of the first year of our website - from the very first web page. Now that we have reached that milestone, we will only update this journal once in a while - when we have something special to tell. We hope your enjoy our story. Our site is a labor of love and we hope it shows. Christmas Day is here and already gone. Wow, this year has been amazing. We are so thankful for you, our site visitors! You really rock our world. We're really surprised how many people still visit our site even in December. Many of you have one or two feet of snow piled up on your porch - and yet, you're still thinking of how to make your porch even better. A year ago we had only published about 2 or 3 pages on our site. Now we have about 250 pages. We are really excited about what 2010 will bring. We will continue to expand and improve upon the content in our website. In our first year we've had over 215,000 unique visitors to our site and nearly 800,000 page views. That includes several lean months (January through April) when we were just getting started. We know that 2010 is going to be even better. Thank you so much for visiting and we look forward to seeing you back. Thanksgiving has already flown by and we look forward to the rest of 2009! We are amazed and delighted that so many of you continue to visit our site - even with cooler weather approaching. Porch lovers are steadfast and we love you. Our Alexa ranking is doing well - around 159,000 lately. We're busy building our Christmas / holiday pages. We love to see your holiday decorating ideas. If you decorate your porch for the holidays, you're most welcome to show it off here! Just send us your pictures! In return, we will share with your our instructions for making a Christmas wreath. Take time to just enjoy some peaceful moments in December and reflect upon the good and joyous times in 2009. Life is short. If you have fair weather or the luxury of a 3-season or 4-season porch, then by all means sit and enjoy it! Share your time with a family member or friend. I don't think you will ever regret that. We now have over 230 pages on our site. About 50 of them were contributed by site visitors. Our Alexa ranking is around 164,000 and our Google page rank for our home page went up to 2. A page rank of 2 is not high on a scale of 10, but we're pleased to be there. For a small, young site it's a healthy start. Part of this is due to our good traffic (1,100 - 1,800 unique visitors daily). The other part is due to the number and kinds of back links we have to our site. A back link, if you don't know, is simply other sites that link to us. We get back links by signing up for directories, exchanging links with good, related sites and by writing articles (that include our link in our bio). While all of this sounds like a lot of work, Dave and I live by the daffodil principle. That means we get a little bit done each day and it adds up to an acre of daffodils over time. We will be announcing our autumn porch decorating contest winners on Sunday, November th. Meanwhile, we are very busy getting our site ready for Christmas. We have several nice Christmas pages for you and a winter decorating page. We added some extensive information to our screen porch section; a favorite subject for many of our site visitors. Along with content, we added many fantastic custom designed and constructed screen porch pictures. We've also been getting requests for advertisers on our site - we must be doing something right! We are careful whom we select because we want to maintain the integrity of our site for our visitors. We received over 40 terrific submissions for our Autumn front porch decorating contest and will announce the winner in early November. We had over 40,000 visitors and 130,000 page views in October- and appreciate every one of them. We are very appreciate of all who visit our site and are grateful for those who support us by contributing both material and ideas. Last year at this time Dave and I didn't even know that this website was in store for us. We were always looking for something we could do online to take with us wherever we go. If you've been following our story, you'll see that we came up with the idea of doing a site about porches. Months ago when we told people about our idea, they just shook their heads wondering why we would choose porches. "Are you going to build porches? ", they asked. No. We're going to build an awesome site that gives people great ideas about how to design, build, decorate and entertain on their porches. We're going to have loads of pictures of porches. People love pictures. We're going to have people contribute their own ideas and tell us stories about how they enjoy their porches. Well, our vision was probably not that crystal clear when we started, but we did have at least a few good ideas. Now, just 10 months or so later, Dave and I think we have a pretty good start. We're really excited that our screen porch section is going to become great! Stay tuned about that. This month our traffic has been steadily increasing. We're averaging between 1,379 and 1,793 unique visitors daily. Not bad for a young site about front porches (and more, of course!). And our Alexa ranking, though it goes up and down a bit, is at 167,000. Thanks so much for stopping by. Our site is a labor of love and we sincerely appreciate you. Our family is growing. On September 30th we had a new grandson, Henry. He's as precious as he can be. He is our 7th grandchild. Our autumn porch decorating contest has begun. If you like to decorate your porch - even a section of it - we'd love to see a photo for our contest! We have some prizes, too. We noticed that we have a nice fan club in New York City. Wow, thank you, New York! Yesterday was our best day yet - over 1,600 visitors. And for the month of September we've had an amazing 109,000+ page views. The most popular topics on our site lately have been screen porches, autumn porch decorating and front porch designs. Oh, outdoor Halloween decorations is also popular as well as country and contemporary porches, too. We appreciate you stopping by. We hope you find some good ideas here for your porch. Dave and I are constantly developing new pages for you - at our kitchen table. Autumn is about here and wow - many of you are enjoying our pages on screen porches and three season porches. Our traffic continues to increase. Our highest # so far has been 1,509 visitors on Labor Day. We cannot thank you enough for stopping by to enjoy our site. Our Alexa ranking has been going up and down a bit. Wow, there are so many websites in this world - all wanting to be the best. But we're happy to report that today ours is the lowest it has ever been (the lower the better) - 176,000. Converting our site to the new, wider template is taking some serious time for us. So, to ease our transition, we've added the new banner to our older template as well. So now when you go back and forth between the new and the old, it will look similar. Dave is expanding our screen porch section. You will be seeing some new pages really soon. We want to provide great information for the things you are wanting to see. Been a while since we've updated our progress. We are thrilled to say that we continue to have 1,000 visitors per day on average. In fact, today we broke our record for visitors: 1236! Thank you so much for stopping by and visiting our site. It's just fantastic how many porch lovers there are. We have close to 150 pages on our site now and we are continually updating and adding our information. Our biggest effort is converting our site to our new wider format. We hope you like our home page and soon you'll see more and more pages in the new format. We have some new pages on Autumn decorating. See the attractive front door wreaths for fall that we found, too! We are getting in the Halloween spirit around here. We have ideas for outdoor Halloween decorations for your porch and scary Halloween decorations as well. Soon you'll see a complete makeover on our porch decorating section - including decorating for upcoming holidays like Thanksgiving and Christmas. Last but not least, Dave published some great information on porch roof construction. He explains rise and run, too. We continue to be amazed at how well our site is being received. We've had several great contributors lately who have amazing porches, Rebecca's Decorating for Autumn porch and Susan's Front Porch Remodel. We are very appreciative of our visitor's contributions and know you will love seeing their porches. You'll being seeing our new look very soon. It's navigation features will make our site more flexible and easier to use. We just added information about wheel chair porch lifts that make porches accessible for everyone to enjoy. Our Alexa ranking is now 185,000 and our average visitor time on site is over 10 minutes! Thanks so much for visiting our site; stop back soon as we continue to work on autumn decorating ideas. A quick post to say we made two pretty neat milestones today: Our Alexa ranking is now below 200,000 and we had a record number of site visitors today - 1,200! That's progress. Thank you, everyone, for dropping by. We have a lot of new things in store for you soon. One is a section on craftsman style porches. You will learn what an airplane bungalow is. We also published two more nice contributions from readers. Michelle has a craftsman style farmhouse with an amazing wrap around porch. And Kimberly came up with a super creative way to use her carport in the summer. She turns it into her car porch! Dave and I are working behind the scenes on putting our website into a wider format that will be easier to navigate and it's a bit more attractive, too - if I say so myself. We'll keep you posted on that. Thanks so much for visiting our site. We hope you leave with having learned something useful and fun for your very own porch! Our progress is good. We have been writing new pages about porch flooring (also known as porch decking). From stamped concrete to interlocking deck tiles. Who would have guessed there were so many choices? We have a new contributor to our site this month: Anna of North Carolina shows off her craftsman-style porch. We look forward to more craftsman-style pictures and pages for you. We will be getting a new look pretty soon. Our navigation will be easier, our format wider and we think you will love the fresh new look. We'll be transitioning to the new format one page at a time, so it will take a little while. Our Alexa ranking is now at 206,000. Thank you for visiting our site and enjoying the information we provide. This month we have a brand new Granddaughter! Her name is Millie and she's a little sweetie pie. That's our best news, of course! We also ran our first contest: our first annual 4th of July Porch Decorating contest. We announce our winner on Sunday, July 12th. The photo of the winning entry will be on our home page for a week. That's a nice prize because it will be seen by 800 - 1100 people per day! Our Alexa ranking is now at 244,000. In the world of websites that's very healthy. Dave and I are continually amazed at how many porch lovers visit our site each and every day. Thank you! Soon you will see several new pages about various types of porch flooring. We love creating new content for you. We also have had some excellent contributors to our site like Joni from Michigan who tells us about her old home and wonderful porch. We also have two new porch makeovers: A no-sew makeover by Rhonda and another from John and Sherry. Our traffic ranges from 800 - 1150 unique visitors per day. We are very appreciative of everyone who stops by. Thanks a lot from both Dave and me. This month we have been very happy to receive some awesome contributions to our site - stories and pictures that we think you will enjoy. Like Shea from Illinois who tells about the old time metal chairs on her porch. Also Kelly from England tells about how her husband, Paul, built a vintage porch for her. You'll love these pictures and stories. Our Alexa ranking is now at 285,000 and we are getting between 800 - 1150 unique visitors on a daily basis. We are so appreciative for all the porch lovers out there. Thank you so much for visiting our site. We're also excited about the porch accents that we've been adding to our site. Like the bistro sets, outdoor ceiling fans and wind chimes. Today, June 8, we had over 1,000 unique visitors for the first time - 1039 to be exact. That's humbling. We're very appreciative of our site visitors. We're still at the kitchen table - that's where you'll find us most of the time. Laptops side by side working on our site. We hope you are enjoying your porch as well as enjoying the pictures and information that we bring to you. Did you know that Dave is a woodworker? Yes, plus he's done many of our own home renovations and he's built many nice pieces of furniture for our family. So that definitely helps when it comes to all the build-a-porch and porch anatomy content. He understands how porches are built and all the little intricacies like how the electrical works. We're very busy building the content for 4th of July porch decorating. We have several new pages for you to stop by: 4th of July decorations, 4th of July party ideas and 4th of July crafts. We also have a brand new section on porch enclosures. It's amazing how many different ways you can enclose a porch from screened porch kits to open wall systems to mosquito curtains. For our cat-loving friends, we added a page about kitties that love the porch. We already had a page for porch pooches. Our Alexa ranking is now at 370,117. Late-May 2009 At the beginning of the month our Alexa ranking was just under a million. Now it's just slightly above 500,000 (which is good!). We are amazed and appreciative. Our traffic is climbing still - just this week we went over 850 unique visitors a day. We also have a page rank of 1 with Google. Very humble yet, but it's a sign of sure progress. Page ranking is earned by securing incoming links to our site. Porches are beautiful this time of the year where we live. We are seeing lots of nice landscaping and container gardens in our neighborhood. Thank you for stopping by to see what we have. We appreciate you and hope you are enjoying your porch. Thanks for helping us to make such great progress. The past few weeks we added a nice selection of porch swings to our site (wood, wicker and metal) plus we added some great rockers (wooden and wicker and children's rockers) for your porch, too. We have new pages on wind chimes as well as container gardening. Traffic continues to grow on our site - between 500 - 600 daily unique visitors. We genuinely appreciate each and every one of you visiting our site. We owe much of our progress to you! Today we saw that our Alexa ranking was under 1 million for the first time. We believe that's very good for a young site like ours. We are building up our screen porch section and we are also adding to our porch swings section. We have some new porch pooches, like Samson. Late-April 2009 Oh my goodness. We have now topped 540 unique visitors a day. Must be a lot of front porch lovers in the world. We've grown from 36 visitors a day on March 1 to 146 on April 1st to now - over 500 daily unique visitors and 35,500 page views in April alone. April has been a month of growth and progress. So what is new? Take a look at the Blinds and Awnings page. There you find some very attractive porch shades and blinds to help you enjoy your porch in the summer heat. Another feature we have on our site now is a search page. It will help you find what you are looking for on our site - or you'll also have the option to search the web. We're very happy to see more subscribers to our newsletter, too! We appreciate our visitors very much. We're currently working on a porch accents page - where you'll be able to see some fun accessories Dave and I have found to make your porch a fantastic place to be. Look for it soon! We've topped 300 visitors a day and are still amazed at how quickly we are growing. We've built new pages in our decorating porch section to help you with Spring decorating ideas. In addition, we've included a great section on colors, specifically addressing colors for porches based on architectural style. This will be helpful to anyone building or rebuilding their porch. We've created a free e-booklet to give to those who sign up for our newsletter and have also published numerous e-zine articles that are creating a lot of traffic for us. We are also very happy to be helping several other friends develop niche sites as well. It's great to be able to help others realize their dreams. We always welcome anyone who would like more information or would like to start their own niche site to contact us - we are always glad to assist! Spring is here. Yeah!!! We are now getting over 200 unique visitors a day to our site. It's amazing to us how quickly our traffic is increasing. We've built some new pages in the 'build a porch' section. We are working hard on our porch decorating section and we know it still needs some more great content and pictures. We'll get there. We also added a way for our site visitors to submit pictures and stories to us of (1) their favorite memories of their porch and (2) porch decorating ideas. We would love hearing from you! We appreciate you stopping by. Hope you enjoy our progress. Our hard work is paying off in increasing the traffic to our site. While our site is still very young, we're pretty happy with the 100 - 160 unique visitors per day in the past week. In the month of March we had almost 10,000 page views. That's not a lot for a big site, but being that we're very new, we are very pleased with that level of progress. It's a testimonial to the tool and process we use called Solo Build It!. We introduced a site blog which announces the updates we make to our site. It's very exciting because now we have a way for our site visitors to share their favorite porch memories and pictures with us. It's called Content 2.0. We have been working on our entertainment section - added a page on old time radio and another one outdoor theater. Our walkway ideas page is also new this week. 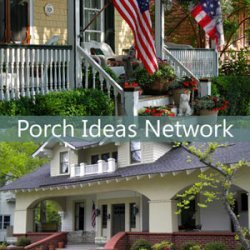 We've been writing articles about porches and submitting them to ezine.com. This has proven to be a very good way to increase traffic to our site. Here are two of our most popular articles: Front Porch Ideas for Exploding Your Homes Curb Appeal Factor and Small Front Porch Expansion Ideas. This month we also exchanged links with several more sites. We feel very fortunate that some sites are contacting us now to exchange links. We added BedandBreakfast.com to our bed and breakfast pages as well as COOLhouseplans.com to some of our designs pages. This is the first time we've introduced any monetization means to our site. Thanks for reading! We have been busy building content and making nice progress. Dave built some awesome pages in the past week - here are two of my favorites: porch furniture and a page with a pictorial on how to build stone columns. We sent out our first ezine. You're most welcome to subscribe on our home page(bottom) or read our first issue. We're working on traffic building through writing articles, getting listed in directories and exchanging links with other related sites. That is beginning to pay off as we're seeing a slow but steady increase in traffic. Seventy unique visitors yesterday. One of the things we like about our site is the memories that people share with us about their porches. It's so fun. Our next step is to create a site blog as well as provide an automated way for you to send us your photos and stories. We're looking forward to getting to know you better. Thanks a lot for stopping by. Take some time to enjoy your porch. We have a little over 50 pages now and we think that many of them are great! Some pages need more content and we are working earnestly on that. Progress is good! Dave built the columns page,the railings page and the porch rockers page this week. They are pretty awesome. We stumbled across a porch swing that is musical. Not musical like a music box, but musical like you can actually play it with mallets like a xylophone. That was fun! Traffic continues to go up steadily. We're listed in a couple directories now and have also exchanged links with several sites. You can see them on our resources page. We love working on our site, but it does keep us busy. We are getting some fabulous photos from flickr and iStock.com. Our site is all about pictures, so that's the best. We keep building content...have a ways to go. We'll get the newsletter out soon, too. Progress continues and it's fun thinking of possibilities for our porches e-biz. Late February 2009 Sweet progress. We've met our 45-page goal for February and we are working on strengthening our keywords and content. We have put a subscription box on our home page to our monthly newsletter - coming soon. We've been having fun building our site - sitting at our kitchen table with two laptops. We exchanged links with several other related sites with great content. We're doing this through Solo Build It's Value Exchange program which allows both SBI and non-SBI sites to participate. Our traffic has been slowly and steadily increasing. Finally got our photo gallery problem solved. Internet Explorer and Firefox don't always see things the same way. The fix was easy. Yeah! We reworked our home page and we know that the search engines will have to catch up to these changes. But we're building for the long term, so short term ups and downs are fine with us. Progress continues. We created our March goal list tonight. Wow, we have a lot to do, but then March has 31 days, right? We only have to move as fast as we want to go. Wow, building more pages. We're nearly up to 40 - good progress. We're going to exceed our February goals. We are working primarily on the convert a porch sections and decorating. Also working on securing some inbound links to our site. We've built several pages rapidly; lesson learned is to make sure we "Analyze It" before we start another page. Otherwise it takes time to make the changes and if you have links you may need to change wording which makes the link inoperable - ugh! Our traffic is steadily going up. Yesterday we had 46 unique visitors - not a lot by most standards, but we're very happy with that progress considering that we're just getting going. We are following the processes and it's working well. Did I mention that we are having a great time working on our site? It's really fun to build a site with somebody that you love. Despite Dave having foot surgery this month, we're still making some good strides on our site (no pun intended). We reached a milestone of 30 pages on our site at the beginning of the month. This is good! Upon reaching 30 pages, it means we begin doing some new activities like getting high quality inbound links via directories and other related niche sites. Our goal is to have 45 pages completed by the end of February. We're already up to 36. We also submitted our site to the Value Exchange - a great opportunity to exchange links with some other related quality sites. Celebrating our 37th wedding anniversary this week. Progress is good. Yippee. Late January 2009 We have exceeded our January goal of 20 pages - we're approaching 30. Yeah! Good progress. We are being methodical and tortoise in our approach, as Ken Evoy of Site Sell suggests. We admit it has taken some real effort and passion to get this far in a short amount of time, but there is no time line that we must follow. That's the beauty of it. It has been very exciting and we have lots of good ideas we plan to incorporate into the site. It's just in its infancy. Every step forward is progress. One thing that is coming soon to our site is Content 2.0. With Content 2.0 we will be able to get feedback from our readers, run contests, have readers submit stories and photographs to us. It will be awesome! Look for that in late February or early March. We changed the template on our site again. It's about 90% where we want it to be. We learned how to make the left and right of the content to be a different background color from the body of the page. We are getting better with our photo software but not experts by any stretch. The Site Build It! forum has been very helpful with getting answers to questions. We are coming up in Google on the first page for the keywords "front porch anatomy" and in Yahoo's first page for the keywords "front porch ideas". Not bad for a site that just got started. Our unique visitor count has increased to about 15-25 per day. We are pretty happy with that. And we have had visitors from at least a dozen countries now. Wow. People love porches even in the winter. 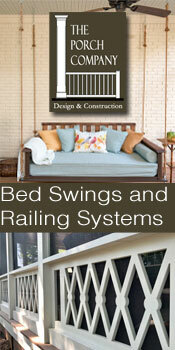 We are building out the porch designs section of our site and starting on the Bed and Breakfast porches. Dave came up with a great idea to feature Bed and Breakfasts on our site since they usually have wonderful porches. So while building pages, we are also contacting Inn Keepers to see if they would like to be included on our site - photos and descriptions of their inns. We're happy to report that several innkeepers are now featured in our site in the Bed and Breakfast section. We are visiting a couple more this weekend. Their porches are awesome and we're proud to show them on our site. We also added the Porch Pooches section on our site. We love that part. Our grand dog, Cisco is featured on that page, as well as some other very friendly dogs. We are learning how to build photo galleries and how to keep our photos organized. Not an easy task considering we work on two computers at our kitchen table - and they are not networked. We have clear goals to create about 20 pages in January. Getting great photos of porches is one of our first challenges. We want our site to have some neat photo galleries as we know "porch pictures" is something our site visitors really like. We are finding some good photographs to purchase but also finding some excellent pics on Flickr. We are contacting the photographers to get their permission to use the photos. We are very pleased with the response we are getting and we're happy to give photographers credit. We are working hard to build valuable content for our readers. That's the real definition of progress for us. By the first week in January we have about 7-8 good pages built. 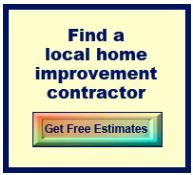 We are really dazzled to see that our site comes up #6 in Yahoo for "front porch ideas". Wow. And we're seeing that we are getting a few site visitors on a daily basis. Maybe 3-5. We also changed the look and feel of our site. With Solo Build It!, it's easy to do. Even fun, in a way. We have not settled upon the colors / theme yet. We submitted out site to Google also. Had to wait until we had at least one tier 2 page created. We began taking photographs of porches in our neighborhood and community. Being that it's winter, really nice photos are not easy to find. We did take advantage of getting photos of holiday decorations. We also wrote a lot of content and entered it into a template into notepad. We built maybe two or three pages, in addition to our home page. Progress is good. We chose a domain name and secured it through Solo Build It!. We developed our home page and submitted our site to Yahoo and Live. We began doing a ton of research. Although we both love porches, we knew we wanted to provide excellent content on our site so we went to the library and bookstore and found some great books on porches. Did I mention that our computer crashed at this time? Not the best timing but our son referred us to a great guy who is an expert at troubleshooting Dell laptops and he installed a new hard drive and more memory. We were back up and running within a few days. And no lost data. Progress! We chose "Front Porches" as our niche. Dave and I both love porches and houses with porches. Dave is very handy with remodeling and woodworking and I enjoy the decorating side of things. And we both love porch sitting. So, we're making progress. That being said, however, our site will be an informational site that we will eventually monetize via related affiliate products, Google ads and perhaps some related e-books. We went through many drills to ensure that there is enough demand for this topic. We feel confident it is good to go. We laid out a site blueprint on an Excel spreadsheet, using the best keywords we found plus some 'long tail' keywords. We printed out the spreadsheet and made a huge paper blue print. Baby steps but progress. By following our processes, Dave and I brainstormed a bunch on what our e-biz niche would be. We wanted to build our business together. So, while we each had individual interests, we were searching for something we jointly loved. We narrowed it down to about 3 niches and began using keyword tools provided by Solo Build It! to help us determine the best niche for profitability and long term passion. I read GreatDay.com, a daily ritual, and saw a blurb that said: "Are you motivated to change your life?" I clicked on that and read a fantastic recommendation from Ralph Marston about Solo Build It! - a tool, system, package that helps individual build an e-biz. I looked into it and we decided it was a fantastic approach to building an online business. Dave and I have been wanting an opportunity like this - an online business that we could manage from our home or anywhere we wanted to be. So we signed up. Want to learn about Solo Build It?